As if squirrels aren’t already some of the cutest creatures out there, one man traveling deep into an Indian forest just proved why the furry animals are even more adorable than we first thought. Kaushik Vijayan is a photographer who spends his days taking photos of precious animals all over the world. 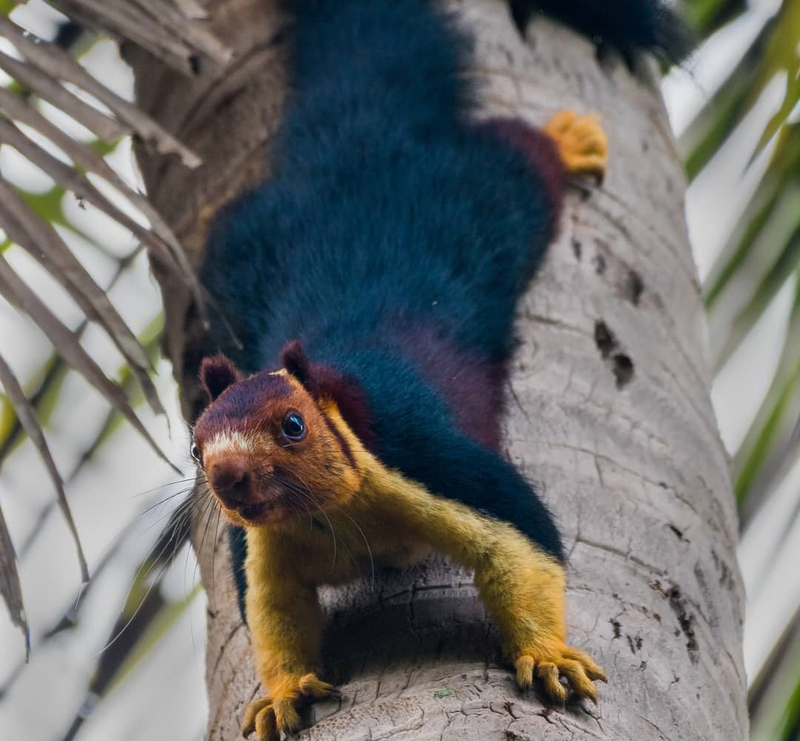 Not too long after Vijayan captured pictures of the Malabar giant squirrels, the images went viral. These squirrels are known to have bright and different colored fur with big bodies. These aren’t the squirrels you know from Central Park, no, these are the squirrels your children will beg to have as a pet. They’re the “darlings of the internet” if you will. Vijayan is from India but now resides in Saudi Arabia. If you scroll through his Instagram account (kaushik_photographs) you will see nothing but incredible shots of precious animals from all over. The only caveat with the fantastic shots comes by way of speculation from University of Miami evolutionary biologist Dana Krempels. Krempels suggests that someone might have increased the color hues of the animal. Even if they did get an uptick, they still have some of the most beautiful fur we’ve ever seen.